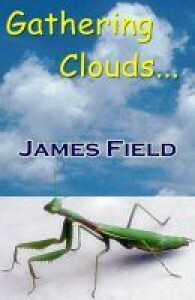 Trevor Cloud is a reclusive genius who has invented a machine that can go anywhere, endure any environment, and is powered by any energy expended around or upon it. His focus on the development of his extraordinary machine, an egg-shaped contraption he calls The Cloud, has left him only dimly aware of the fact that the clouds of Earth are curiously in absentia. It isn’t long, however, before Trevor, and his less reclusive brother, Russell, learn the nefarious source of the missing clouds—an extra-terrestrial agent that is siphoning away Earth’s vapor for reasons unknown. This is the maiden voyage of the Cloud and the Cloud brothers, and their first adventure was a doozy. It might be difficult to top, but I hope it isn’t their last.